We are a small family run business catering for all outside events, large and small. We can provide all your catering requirements, from finger buffets to a knife & fork buffet. Please click to see buffet ideas. We regularly attend horse events, agricultural shows and game fairs. We are based in South Cheshire so have easy access to all parts of the country. 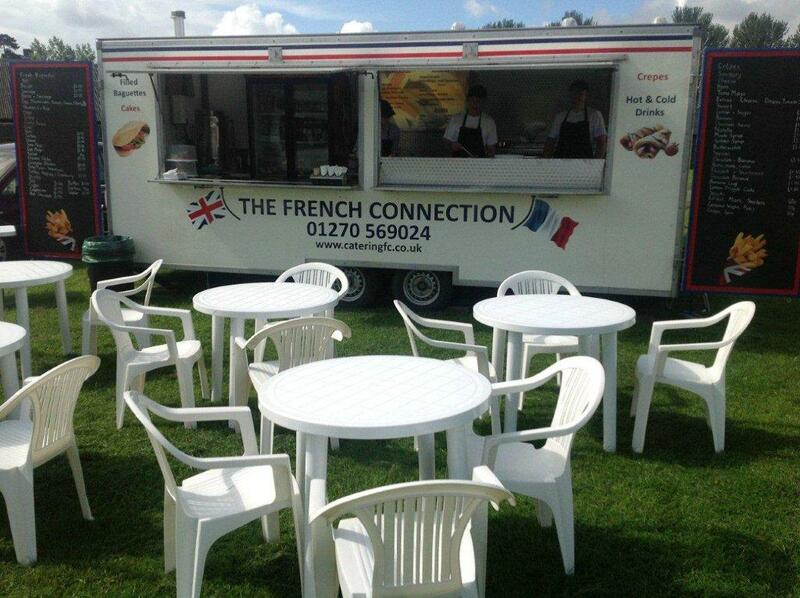 From our catering trailers we are committed to providing high quality food at a reasonable price. Our clientele enjoy something a bit different, our crepes have lots of variations of sweet and savoury fillings, and some unusual combinations have been requested! Our hot baguettes can all be served with tasty extra's of the customer's choice, eg; fried egg, chopped fresh mushrooms or freshly grated cheddar cheese. We have a wide selection of cold baguettes eg; a home-made mildly spiced Coronation Chicken or Turkey Breast, all can be served with a crisp fresh salad. We enjoy offering our customers a high quality service and our menu is flexible, e.g. ; the crepes can include more vegetarian options, if required. In addition to what is on the menu we also provide different types of home-made cakes, crisps and chocolate bars. The home-made cakes include Chocolate Brownies, a real favourite at the horse events, Oaty Flapjacks, Banana Loaf and Buttery Shortbread. 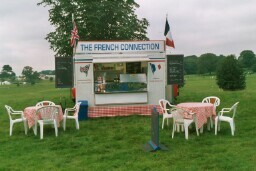 We have a larger catering trailer providing chips and steaklets in addition to all the above food. The staff have obtained the relevant hygiene certificates and have been trained in food handling techniques. One member of staff has an Ordinary National Diploma in Hotel and Catering Operations. We are registered with the Cheshire East Council Environmental Health Department and we are covered by Public Liability insurance.